© Robert H. Mohlenbrock @ USDA-NRCS PLANTS Database. 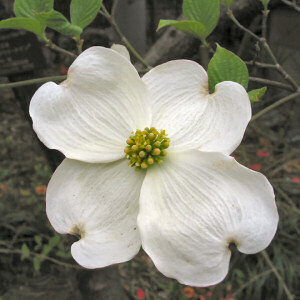 Supported by the Garden Club of Virginia and the Garden Club of Norfolk, the flower of the American dogwood (Cornus florida) was adopted by the Commonwealth of Virginia as the official floral emblem of the Commonwealth on March 6, 1918.
to designate a floral emblem for the State of Virginia. RESOLVED, by the senate, the house of delegated concurring, That the flower commonly known as the American Dogwood (Cornus Florida), is hereby declared to be the floral emblem of the State of Virginia. The Virginia creeper was proposed as well but was defeated. State Librarian H. R. McIlwaine indicated in a letter dated March 19, 1930, that the blossom of the dogwood was chosen because it is so prevalent in the State and because it adds beauty to the Virginia landscape, especially in the spring. Though the blossoms found in Virginia vary from white to pink, the legislation does not stipulate a particular color. White flowered American dogwoods are more generally found throughout the state. The following information is excerpted from the Code of Virginia , Title 7.1, Chapter 5, Section 7.1-38. Chapter 5 - Song, Floral Emblem, Official Dog, Shell, Beverage, etc. of the Commonwealth. 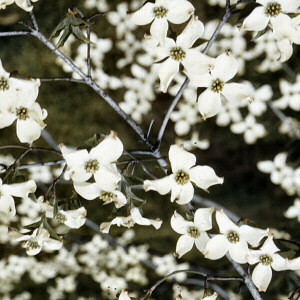 The flower commonly known as American Dogwood (Cornus florida) is declared to be the floral emblem of the Commonwealth. Cornus florida, Cornel (Dogwood): Plant Encyclopedia from My Garden Guide. Cornus florida, Flowering Dogwood: University of Connecticut Plant Database of Trees, Shrubs, and Vines. Plant Profile for Cornus florida (Flowering Dogwood): USDA, NRCS. 2004. The PLANTS Database, Version 3.5 (http://plants.usda.gov). National Plant Data Center, Baton Rouge, LA 70874-4490 USA.